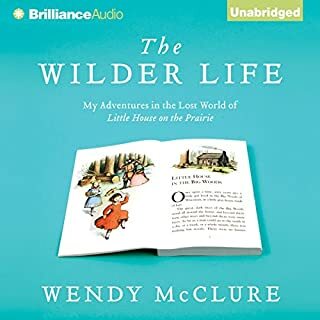 Wendy McClure is on a quest to find the world of beloved Little House on the Prairie author Laura Ingalls Wilder - a fantastic realm of fiction, history, and places McClure has never been to yet somehow knows by heart. She traces the pioneer journey of the Ingalls family - looking for the Big Woods among the medium trees in Wisconsin, wading in Plum Creek, and enduring a prairie hailstorm in South Dakota. She immerses herself in all things Little House - exploring the story from fact to fiction, and from the TV shows to the annual summer pageants in Laura’s hometowns. 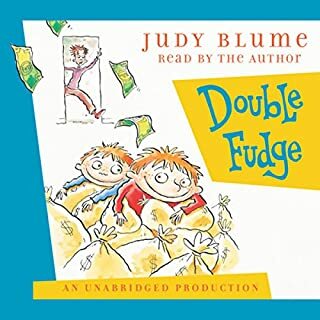 Gets My Vote For Worst Narrator! There are so many chopped syllables and even phrases that I just gave up. It might be an interesting book. It's hard to give a rating to this book. I really liked it, but it has some significant flaws. Long sections of historical context seem poorly integrated and dreadfully similar to research notes. 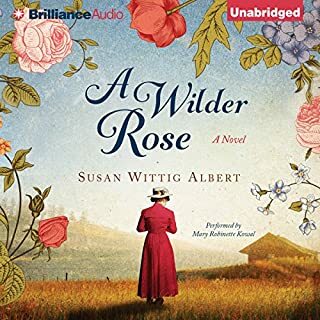 The structure is clunky, moving back and forth between Rose narrating in first person as she experiences events and an omniscient third person as she tells the story to a young friend many years later. The performance, which makes plentiful use of accents and voices, is at times grating but always expressive and engaging. I loved it, despite the flaws. Why are so many syllables clipped off? This is an interesting book, read intelligently by the author, but nearly ruined in production. Good Lord! For some reason, not only initial phonemes are frequently missing, but fairly frequently, entire syllables at the beginning of a phrase. It rarely impedes understanding the text, but it does on occasion. Otherwise, it's just like reading a good book with many typos. If you don't notice, good. If you do, you'll be pulling your hair out. His daily discontent is nothing compared to the affliction of hearing loss, which is a constant source of domestic friction and social embarrassment. 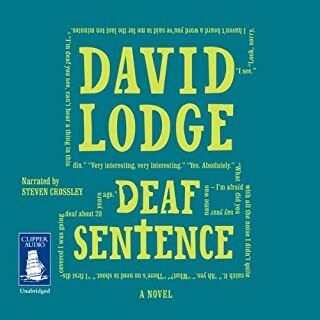 In the popular imagination, he observes, deafness is comic, as blindness is tragic, but for the deaf person himself it is no joke. It is through his deafness that Desmond inadvertently gets involved with a young woman whose wayward and unpredictable behavior threatens to destabilize his life completely. I listen to audiobooks for entertainment. Oftentimes I find they stay with me, perhaps subtly changing how I view some experience or other, but this one really jolted me at several points. It's not a remarkable plot. Spoiler alert. He goes deaf, then gets back some of his hearing. His father dies. He has an annoying student. Middle age is tedious. His marriage is difficult, and he works on it. What is worthwhile is what the narrator tells us about his experience. There are passages that are absolutely delicious. When I finished the book, I was utterly shocked and thrown into grief. I thought this might be a fun book to listen to while knitting. After two chapters, though, I gave up and picked out something else. This gem appeared toward the end of the first chapter: "I sat for another moment, memorizing his face in my side mirror, promising myself that never would I or any of my children, should I have any, ever consider procreating with the likes of, or a close relative to, Cole Dunbar." Only stubbornness made me continue for another chapter. It didn't get better. 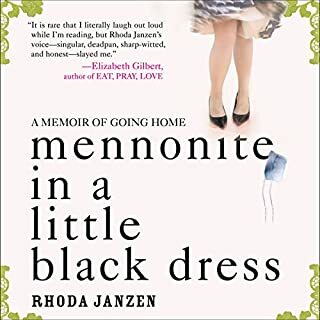 Janzen's observations on her Mennonite roots initially seem overly harsh, but slowly reveal a love and appreciation for her family as well as their traditions. This is a tender and funny memoir rather than a shaming tell-all. I've only seen a few 30 Rock episodes and my knowledge of TF's work on SNL is limited to the Sarah Palin sketches that went viral. 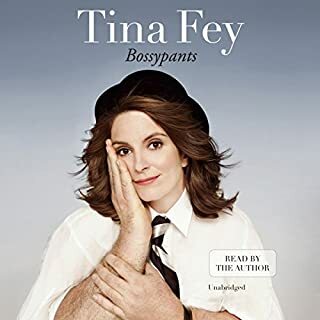 When I bought Bossypants I was looking for something smart and funny. It worked. There's more SNL/30 Rock backstory than I expected, but Fey puts these events into context and uses them to reveal a pervasive sexism in comedy. My 8 year old son listened to a few minutes and declared, "Do you have more of those busy mom books? I like them. They're pretty funny." That said, it's grown-up humor. If you do let your 8 year old listen to the book, you might have a lot of explaining to do. 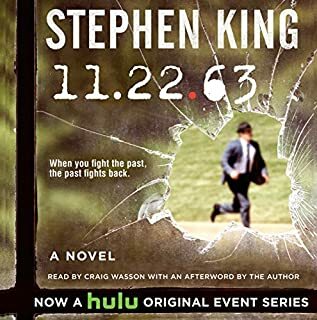 At one point, I forgot this was a Stephen King novel and began to get worried that I would have to skip over some gory parts. There is a bit of supernatural hocus-pocus time travel that the reader must accept with an open mind, and most of the novel deals with the conundrums posed by the possibility of changing the past. Occasionally the voice of the 30-something year old narrator slips into King's 65 year old voice, displaying a degree of familiarity with 1960s era music and cars that seems out of place. As for gore, there were a few gruesome moments that I skipped over with no apparent harm. 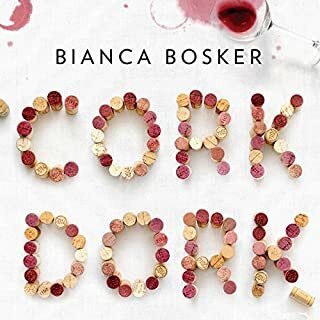 It's entertaining for the most part (the first part was too slow for my partner's taste), but not something that dazzled me with insight or occupied my thoughts for any time afterward. But not bad. 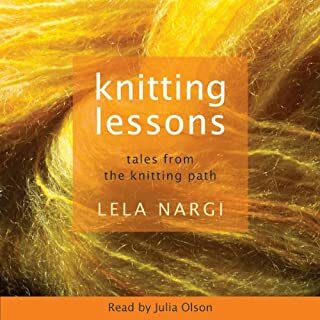 Lela Nargi traveled across the country interviewing knitters at the beginning of the knitting craze. While learning how to knit herself, Nargi discovered the profound importance knitting has in the lives of the knitters she meets. 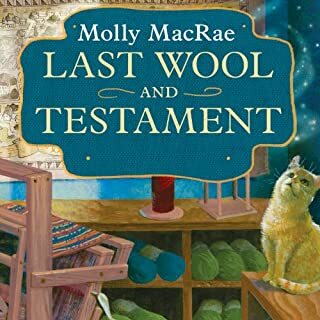 Among the many wonderful knitting stories Nargi hears are those of Mel Clarke, Teva Durham, Edith Eig, Vickie Howell, Linda La Belle, Trisha Malcolm, Suzan Mischer and Clara Parkes. There is nothing surprising here, and it satisfies nonetheless: a short volume of intelligent and well-crafted essays by well-known knitting writers. Perfect company for long stretches of stocking stitch.